Ed. Note: The aftershocks of the senseless and tragic killings of NYPD officers Wenjian Liu and Rafael Ramos are being felt far beyond New York City. 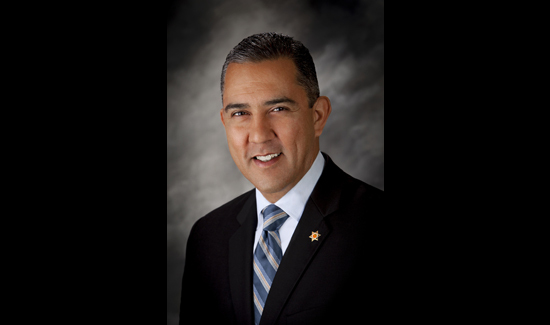 We wanted to share this essay we received from Tom Dominguez, president of the Orange County Deputy Sheriffs’ Association. They were husbands. One was a father of two boys; the other a newlywed. They were officers of the New York Police Department. They were humans –unceremoniously and abruptly executed simply because the badge they wore over their hearts. We mourn our brothers, NYPD Officers Wenjian Liu and Rafael Ramos, the victims of a career criminal who vowed in an Instagram post to put “wings on pigs” as retaliation for the deaths of two men during altercations with police. In the wake of grand jury decisions not to indict police officers in Ferguson, Missouri and New York City, protesters from California to New York have looted, set businesses on fire, thrown rocks and Molotov cocktails at police officers and even cheered for a driver to run over a Denver police officer again after he had already been hit and critically injured while on bike patrol. Americans are guaranteed the right to free speech by the Constitution. They are not guaranteed the right to harm innocents and destroy property. Despite the anger and hatred hurled along with glass bottles and rocks, police officers have returned over and over to make sure everyone– including those who hate us – remains safe and their First Amendment rights are protected. And our law enforcement officers will continue to return until the last protester is gone. Law enforcement has and will keep our promise to protect our communities at all cost. It is sickening that the cost of keeping that promise now includes the lives of two of our own. The utter heartbreak we feel as we mourn the loss of Wenjian Liu and Rafael Ramos mirrors the pain we felt when Orange County Sheriff’s Deputy Brad Riches was executed in 1999 after being ambushed in his patrol car by a repeat criminal who wanted to kill police officers. It is a pain that never goes away. I have been in contact with NYPD Police Benevolent Association President Patrick Lynch to offer our most sincere condolences on behalf of the men and women of AOCDS. In recent weeks, certain elected officials and so-called “community leaders” have fueled the intense anti-police hatred by expressing support for violent protesters, even as they became more and more aggressive toward law enforcement, with protesters being heard chanting “dead cops,” and other protesters assaulting a pair of officers earlier this month. These comments are reprehensible, reckless and do nothing but embolden deranged individuals to carry out warped versions of vigilante justice. And it is not until two peace officers have been murdered that the mayor of New York calls for a moratorium on anti-police protests and urges calm. One has to question the sincerity of the mayor’s actions given the intense condemnation he received for reigning in police tactics and supporting the actions of violent protesters, actions critics have said created the very environment which spurred Saturday’s murders. Elected officials across our nation have also spoken out against the equipping of our peace officers, arguing for appearances-sake against the “militarization” of our law enforcement officers. Politics should never play a role in officer safety. We will not tolerate it. The men, women and children we are sworn to serve want to be safe in their homes, at their jobs and in their schools. Criminals are not going to run our communities. And we need the equipment to ensure we can get the job done – and done safely. AOCDS will always vigorously defend the righteous actions of our members. These are stressful times for law enforcement. Coverage of anti-police protests and the murders of our two NYPD brothers have infiltrated Christmas television specials and holiday cheer. Your family is not immune to this added stress. The AOCDS Board of Directors urges you to sit down with your loved ones and have a frank discussion to reassure them that mommy or daddy is fully trained, equipped and prepared to come home after every shift. Be vigilant. Wear your vest. Make sure you make it home every night. Please keep the Ramos and Liu families in your prayers, and pray for the 122 law enforcement families across the nation who are spending their first holiday season without their loved one. Well said, Tom. Proud to know you. Sharing this! Thanks Tom and prayers for our brothers and sisters in law enforcement. Tough times, indeed. Prayers go out to All law enforcement for protection. The ones who protect us. Great article Tom – well said!